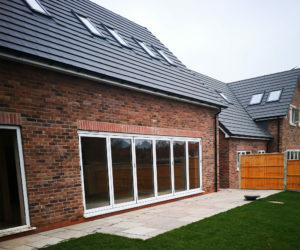 uPVC is heat sensitive which is why it is non-processable and requires special stabilizers if required to be degraded. Windows anywhere around the world face extreme weather conditions and bear sunlight, rain, cold and what not. These conditions lead to breakage and cracks in wooden frames for which uPVC has proven to be an excellent alternative to resist exposure to heat and sensitivity. uPVC is one of the cheapest materials that can be used in place of timber wood and aluminum keeping in mind the window frames and sills. These windows are a blend of the perfect materials in order to be used for window frames because of their heat resistance and durability that can last a long time. This material is generally lesser in cost than that of aluminum or timber wood, which is why it is more convenient for use. Although costs still may vary depending on the quality of the uPVC windows, you can still expect a reasonable price of the uPVC window frames. Because of its popularity and convenience in terms of maintenance, the uPVC windows require only a few times of cleaning around the year. The windows require less effort to clean; a few swipes would clean the windows and make them new again. Other window frame materials tend to corrode by weather change whereas uPVC has impressive durability as well as sound-resistant tendency. Aluminum windows for example go cold in winters adding to the cold atmosphere inside the home. The uPVC windows are very efficient when it comes to energy, so these can be very supportive in terms of heating and keeping your home warm and cozy. These are also very convenient and reliable in terms of securing your home because of the strength of uPVC material. In order to choose the perfect material for your window frames which proves light on your pocket as well as lasts a long time keeping you at ease in terms of maintenance, uPVC is the go-to option. This material is energy efficient and thermally rated. The low thermal conduction in uPVC locks heat and prevents it from escaping making it ideal for cold areas. The best part about using uPVC products is that they hardly require painting or any high-cost maintenance, just a simple cleaning of the windows and frames would keep them new for a long time.